Posted on June 14, 2015 by Lena K.
Just like we did last year, this year as well we’d like to hear your opinion on some matters, as well as let our readers decide how some things should be changed, improved, or whether they should be kept the way they are. For one, we changed the whole layout of YuriReviews. Changes were subtle, but I think we did a good job. Changing headers were implemented, the width of the blog was changed, and the blogroll was improved by adding more useful gadgets. Furthermore, we tried to improve the whole navigation system of YuriReviews. Therefore Rock changed the “search gadget” and made a very neat post in which all entries are listed in a quite convenient way, making it easier to find specific posts and content. To check it out, just click on “YR Archive” right beneath the header or simply click here. Other than that, one of the most requested changes we got in the last survey was to post content more frequently. As already mentioned back then, it’s quite hard for me to keep up with everything and posting new reviews or any other content more frequently than every 3-6 days is simply impossible for me. However, with the help of Rock The Vogt, things have become way easier, which I’m very grateful for. So to not drag this out any longer, we are trying to post things more frequently, but I’m still not sure what kind of pace we’re capable of going, so please be patient with us. Finally, we also decided to add a Facebook page that Rock The Vogt already filled with all previous YuriReviews posts. Just like Twitter and Google+, this will be used to post updates, blog posts and anything yuri that needs to be shared with the community. 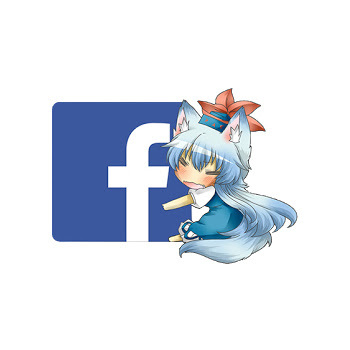 Since Facebook is easier and more convenient to use community stuff, we’re also thinking about using Facebook as a platform to have discussions with you guys, but we’ll see how that’ll work out in the near future. With that said, we want to try the same thing a second time, and give you the opportunity to let us know what you think about this blog and what you think should be changed. Since the last survey surprisingly reached its limit of contestants way faster then expected, we now decided to go with a different host, leaving room for more than 200 participants. This entry was posted in Other, Survey and tagged YuriReviews by Lena K.. Bookmark the permalink. Awww. I wanna take it too, but I don't wanna take up one of the available spots. When I saw take 2 I thought you were filming a movie. It is already pretty obvious that what most people demand is a better coverage of Visual Novel news/updates. Since you're always up to date, would you like to do a post about the recent amount of translated yuri works, meaning the ones that are still in progress as well as the ones that are already partly or fully done? Of course, I would love to ~ 😀 , So it would be a compilation post+news basically? Yes, you can pretty much organize it as you like, while just focusing on the recent amount of translated or soon to be translated yuri works. In a few days, we'll post an entry on how to do a guest review. Well, not concerning the content of a guest review, but how to create the HTML file for us to use etc.